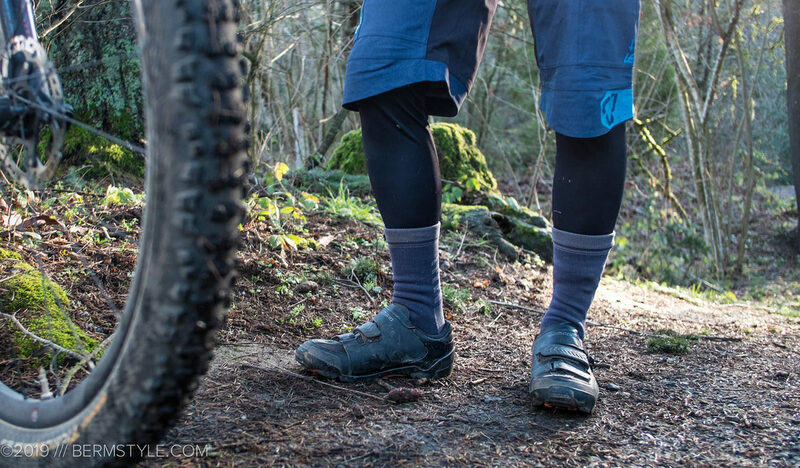 Every mountain biker in the Pacific Northwest should have a pair of waterproof socks — wet feet on rides is the absolute worst. And let’s face it, there is no shortage of precipitation this time of year. 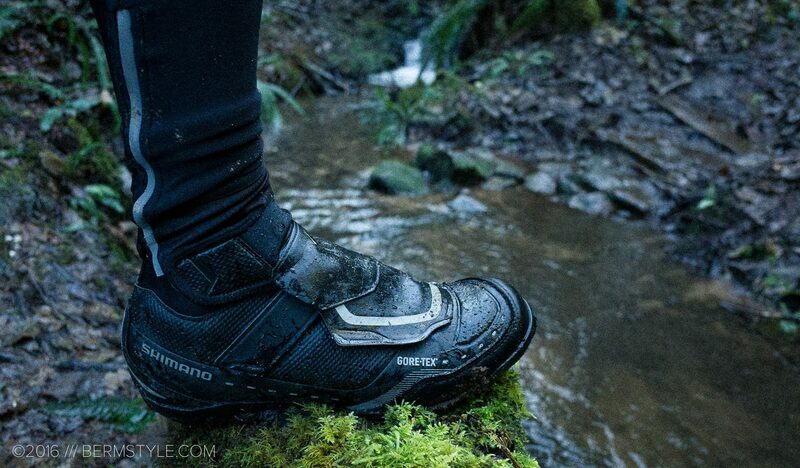 Thanks to the Showers Pass Lightweight Crosspoint Waterproof socks, wet feet are no longer an issue on winter rides. 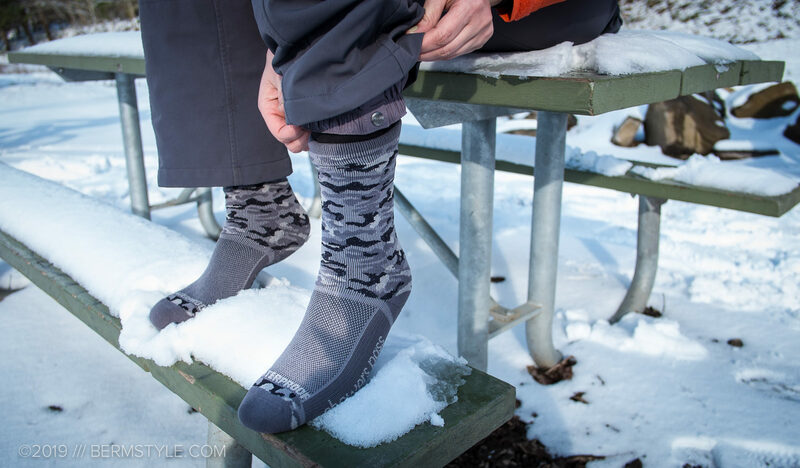 These standout socks perform exactly as promised and keep feet dry. More importantly though, they have a feel like a regular pair of socks. 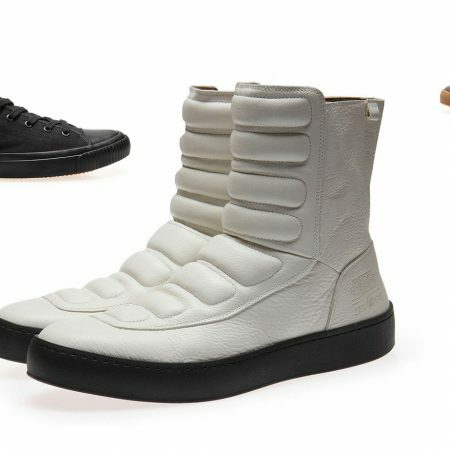 Similar in heft to a thick wool sock, they’re not so thick you need a second, larger pair of shoes just to keep your feet from losing circulation. I have a few pair of waterproof socks from various brands lying about in various bins. They all work as promised – they keep feet dry. Most of them fall short in the comfort department though, and are so thick my feet lose out on the pedal feel. Or even worse, cause a lack of circulation after an hour of activity. Even the original pair of waterproof socks I have from Showers Pass feel like a bit thick — they only come out when the weather is absolutely lousy and when the lightweight versions are already in the hamper. The light weight Crosspoint Classic socks are an accomplishment as well an upgrade from the original thicker sock. (The original socks are actually pretty great, though the thicker original has to be paired with the right shoe for best results) Wearing them paired with my favorite wintertime foot coverings — the Shimano MW7 Winter Shoes — means ending the ride with happy feet. 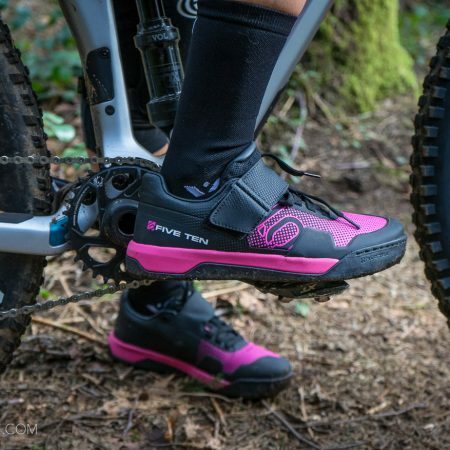 They’re part of our travel kit as dry feet is always desirable, regardless of whether your chosen activities include cycling, running or snow sports. I’m wearing the medium/ large socks, while Inga has been wearing the small/ medium in camo. 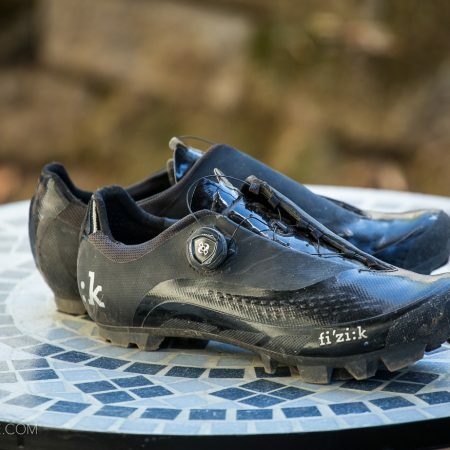 (I wear a size 43 shoe, Inga wears a size 39 shoe) I generally size up on socks as going up a size helps with the longevity of cycling socks, but the fit of the Crosspoint has been true to size for us. I’ve worn the Crosspoint socks for the better part of a season and they are holding up well, displaying minimal signs of wear; most importantly they’re still waterproof. I have yet to try the matching waterproof glove, but at some point I’m going to add them to my gear bag as I hate cold and wet hands as much as I hate cold, wet feet. 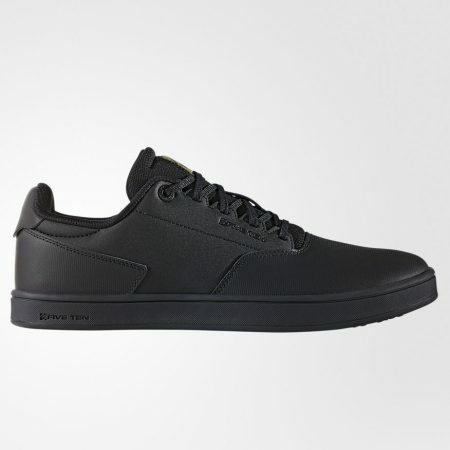 Check them out at ShowersPass.com or grab a pair on Amazon with our affiliate link to support the site.